CALGARY, Alberta, Nov. 12, 2018 (GLOBE NEWSWIRE) — InPlay Oil Corp. (TSX: IPO) (OTCQX: IPOOF) (“InPlay” or the “Company”) announces its financial and operating results for the three and nine months ended September 30, 2018. 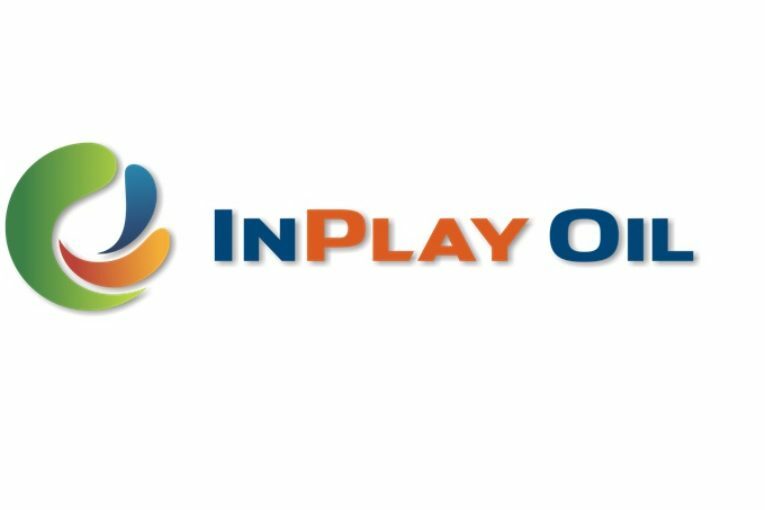 InPlay’s condensed unaudited interim financial statements and notes, as well as management’s discussion and analysis (“MD&A”) for the three and nine months ended September 30, 2018 will be available on the System for Electronic Document Analysis and Retrieval (“SEDAR”) and our website (“www.inplayoil.com”). We are pleased to present InPlay’s financial and operating results for the three and nine months ended September 30, 2018 with results in excess of forecast and record quarterly production, revenue and cashflow. Successfully closed the non-core asset disposition on October 1, 2018 (announced September 13, 2018) disposing approximately 250 boe/d (72% oil and liquids) for cash consideration of $16.7 million prior to adjustments. This rationalization of assets at premium valuation metrics allows us to redeploy the proceeds towards our high rate of return Willesden Green Cardium drilling inventory. Achieved record quarterly production of 4,773 boe/d, a 17% increase compared to the third quarter of 2017, resulting in average production of 4,529 boe/d for the first nine months of 2018, a 16% increase compared to the first nine months of 2017. Total oil and liquids weighting also increased to 70% entirely attributable to light oil growth over the same respective periods. Light oil production averaged 2,695 bbl/day for the nine months ended September 30, 2018, a 20% increase compared to the first nine months of 2017 and light oil and liquids production averaged 3,160 bbl/day for the nine months ended September 30, 2018, a 22% increase over the same respective period of 2017 reflecting the focused development of our light oil weighted Cardium assets. Generated revenues of $22.8 million, an increase of 57% from the third quarter of 2017 (96% derived from light oil and liquids). Light oil revenues in the third quarter increased 64% over the third quarter of 2017 to $19.7 million. Operating costs per boe of $15.62 decreased 11% compared to the third quarter of 2017 and 10% compared to the second quarter of 2018. Operating income of $13.0 million, represents a 110% increase over the third quarter of 2017 with a corresponding 80% increase in operating netback to $29.51 per boe over the same respective period. Generated adjusted funds flow from operations of $10.0 million or $0.15 per basic share which includes $0.8 million in realized losses on commodity derivative contracts, representing a 115% increase over the third quarter of 2017 and a 36% increase over the second quarter of 2018. Net Debt/Annualized Adjusted funds flow from operations improved to 1.6 times from 2.3 times for the third quarter of 2017 and 2.0 times for the second quarter of 2018. (1) “Adjusted funds flow from operations”, “Net Debt”, “Operating netback per boe” and “Operating netback” do not have a standardized meaning under international financial reporting standards (“IFRS”) and GAAP and therefore may not be comparable with the calculations of similar measures for other companies. “Adjusted funds flow from operations” adjusts for decommissioning obligation expenditures and net change in operating non-cash working capital from net cash flow provided by operating activities. Please refer to Non-GAAP Financial Measures and Oil and Gas Metrics and BOE equivalent at the end of this news release and the Company’s MD&A. InPlay’s capital program over the third quarter of 2018 saw a continued focus on our Willesden Green bioturbated Cardium assets where we have delivered exceptional results with wells consistently exceeding internal type curves and delivering some of the best Cardium production results in the area. Our continuous drilling program is delivering peer leading capital efficiencies as we have achieved some of the shortest spud to rig release drilling days for extended reach horizontal (“ERH”) wells seen to date. Our most recent six 1.5 mile ERH wells have averaged 9.7 drilling days with the last two wells averaging nine drilling days which to date are pacesetters in the area. Of equal importance is the consistency in our drilling performance where the maximum deviation from average drilling time of the six 1.5 mile ERH wells has been +/- 0.7 days. The 1.5 mile extended reach horizontal Cardium wells have allowed us to access approximately 60% more reservoir while incurring approximately only 20% more in additional capital expenditures compared to a one mile horizontal well. InPlay’s capital program of $17.4 million for the third quarter of 2018 continued to focus on the development of the Willesden Green bioturbated Cardium where we completed two (2.0 net) ERH wells that were drilled in the second quarter and we drilled an additional five (3.3 net) ERH wells of which three (1.3 net) were completed in the third quarter and two (2.0 net) were completed early in the fourth quarter. Over the first nine months of 2018, InPlay has drilled an equivalent of 18.5 gross horizontal miles (13.3 net horizontal miles) in Willesden Green. The two recent ERH wells completed and brought on production early October have been flowing to date at an average choked rate of 520 boe/d (87% light oil and liquids) per well and have continued to clean up with current average production per well of 652 boe/d (82% light oil and liquids). We expect the production from these wells to remain fairly stable flowing at choked rates for 2-3 months. Results to date from our drilling program continue to exceed our internally forecasted type curves and, even with the non-core asset disposition on October 1, 2018 of approximately 250 boe/day, we remain on track to exceed our recently increased production guidance delivering top tier production growth amongst light oil peers. Forward West Texas Intermediate (“WTI”) pricing for the remainder of the year is in the $60 – $65 per bbl range. Light Sweet Edmonton pricing, however, started to experience weakness beginning in September with higher differentials than normal to WTI. These increased differentials occurred as a result of extended refinery turnarounds in the Midwest USA, increased oil supplies and transportation infrastructure restrictions. We expect these higher differentials to persist throughout the fourth quarter of 2018. Although this negative pricing environment could continue into 2019 we do see this as a temporary situation which is anticipated to return to more normalized levels in the New Year. The Willesden Green area is where InPlay will deploy the majority of the remaining budgeted development capital in the fourth quarter of 2018 on the completions of the two (2.0 net) wells that were drilled at the end of the third quarter and on drilling an additional three (2.2 net) ERH wells. InPlay has elected to defer the completion of two (2.0 net) ERH wells, originally scheduled to be on production in mid-November, until the first quarter of 2019 when improved light oil differentials are anticipated. Despite the delay of production from these two (2.0 net) deferred wells, we still expect to exceed our average annual production guidance of 4,600 boe/day (71% oil and liquids). Field production estimates are currently over 5,350 boe/d (72% oil and liquids) exceeding our year end exit forecast of 5,100 to 5,200 boe/day (72% oil and liquids) as our recent new drills are significantly exceeding forecasted production. To further assist in managing the current higher light oil differentials we plan to manage light oil inventory levels at our facilities over the next few months in order to sell this oil in what we believe should be an improved differential pricing environment in 2019. We also plan to drill one vertical stratigraphic well on our northern East Basin Duvernay lands to continue the surrounding Crown lands for an additional five years and satisfy the Company’s remaining flow-through share obligations. Our plans are still to develop our Huxley Duvernay lands at a measured pace as we continue to closely monitor the significant amount of offsetting competitor activity that is in proximity to InPlay’s lands. Our Willesden Green Cardium and East Basin Duvernay assets have InPlay established in one of the most economic horizontal development light oil plays as well as one of the most exciting emerging light oil plays in the Western Canadian Sedimentary Basin. The Company is positioned to be one of the highest growth junior light oil focused companies which currently has 70% of production and 96% of total revenues derived from oil and liquids. We are excited about InPlay’s near-term growth and development potential given these high quality assets in the Cardium and East Basin Duvernay plays. Plans are to continue to deploy capital towards our high rate of return assets and given our financial flexibility, we expect to be able to deliver sustainable light oil production per-share growth for our shareholders. We thank our employees and directors for their ongoing commitment and dedication and we thank all of our shareholders for their continued interest and support. We are excited about the strong operational results we have achieved to date and we look forward to reporting upcoming results from our ongoing development program.